Greater Mount Zion African Methodist Episcopal Church was organized as a result of efforts by a group of dedicated brothers and their families. This effort was led by the late Reverend F.L. Gillians, Brothers Joe Cooper, Sam Burgess, Arthur Johnson, Elijah Pope, Willie Sawyer, W.E. Simmons, J.D. Daniels, E.S.Hicks, and the Reverend S. Stokes. This organization took place under the Pastorship of the late Reverend S.L. O’Neal. The first meeting was held at Just-Rite Cleaners Pressing Club, where Reverend Gillians was employed. At this first meeting, it was agreed upon to purchase a lot and build a Church. Mount Zion’s forefathers were determined to meet this goal, and did. They purchased the first Church site under a brush harbor at Nineteenth Street and Fairfield Avenue South, and the Reverend Gillians bought the first plat of lumber. The first services were held on the site of 919 20th Street South on the first Sunday in January 1925. Thus a few devoted Christians, frequently praying and singing God’s praises met each Sunday. The congregation made many additions and improvements to the building. As the ministries and the needs of the people grew, the Church began a search for land to enlarge its territory to minister and meet the needs of its members and the community. On September 14, 2008, our territory was enlarged through a vision given to Rev. Clarence A. Williams from God. The prayers of many dedicated and committed members helped us relocate to our present location at 1045 16th Street South. God has truly been good to our Ministries. Pastor Williams, a native of Bartow, Florida attended Bartow High School where he pursued his love for music. He played in the concert band and formed a youth band with three friends where he played the drums. He attended Knoxville College graduating with a major in Biology. In 1999, Bishop Frank C. Cummings assigned Pastor Williams to Greater Mt. Zion A.M.E. Church in St. Petersburg, Florida where he presently serves as Senior Pastor. As a faithful servant and good steward, the Lord gave him a vision to enlarge his territory for Ministry. He followed the vision and embarked on a $2 million project to relocate the Church to a larger facility in 2008; the church has doubled in membership since. In 2013, he formed Cross & Anvil Human Services, a nonprofit organization designed to serve the residents of Campbell Park and Melrose communities regardless of their religious beliefs. He is a Board Member for the Community Health Centers of Pinellas County, St. Petersburg, Life Member of the NAACP, and Co-founder of F.A.S.T. Justice Ministry. He is a founding member of Men In The Making, a youth mentoring organization. He serves as treasurer and board member for the Collective Empowerment Group, an organization developed to empower communities to pool their resources by which all parties benefit. Pastor Williams believes in speaking truth to power, he believes the Bible directs him to “speak for those who cannot speak for themselves”. He desires to inform and educate his congregation of the important issues of today. He is an advocate of education, and works with the education community to find solutions to problems in the system. He has served as Treasurer and a member of the Board of Trustees for the A.M.E. Church West Coast Conference for over seventeen (17) years. Pastor Williams is married to Mrs. Andrea P. Williams and they work as a team in ministry. They have two daughters, Dominique and Dr. Andria. 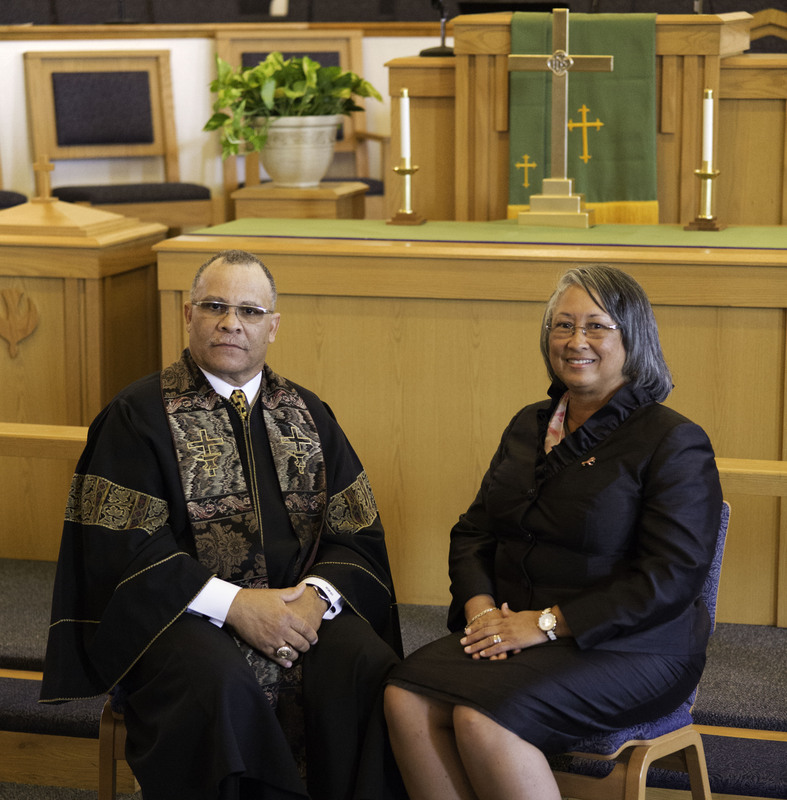 Pastor Williams strives to lead by example with a kind, compassionate and giving spirit. He distinguishes himself as a people’s person. His ministry is Christ centered and spirit lead. His favorite scripture passages are Philippians 3:13-14, and Ephesians 4:1-3. He enjoys playing golf, fishing and listening to classical music.